ZTE, the world's fourth-largest handset vendor, has teamed up with Firefox maker Mozilla for a new mobile OS that could begin rolling out to devices by the end of 2012. China's ZTE is one of the global leaders in mobile sales, and most of its devices run on Google's Android OS, with a few on Microsoft's Windows Phone. David Dai Shu, a ZTE spokesperson, told Reuters that the company is ramping up efforts on its own operating system while continuing to release Android devices. "It's all part of our wider plans to create a better balance of products using various operating systems," the spokesperson said. "We won't just rely on Android or Windows." The first glimpse of the Firefox OS on ZTE handsets came on Sept. 10 in a Youtube video released by Mozilla. Now ZTE has revealed that the Firefox OS will begin rolling out in late 2012 or early 2013. ZTE's spokesperson only hinted at the new OS heading outside of China, saying, "We are working with a regional telecom carrier outside of China to unveil products based on our own operating system." 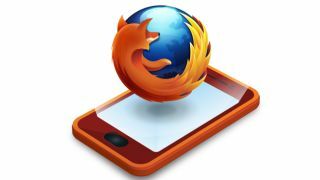 Mozilla has reportedly stated in the past that operators including Deutsche Telekom, Sprint, Smart, Telecom Italia, Telenor, and Etisalat have promised to support the Firefox OS. Based on events that unfolded around Sept. 13, Google may not be happy about ZTE's movements toward a new operating system besides Android. Reports at that time claimed that pressure from Google forced Acer and Alibaba to cancel the launch of their own device with Alibaba's Aliyun OS. Those reports were never confirmed, and Google never responded to TechRadar's queries on the matter. But if they're accurate, then Google might eventually have something to say to ZTE about cooperating with Mozilla.